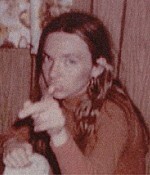 The 1973 missing person case of Dorothy Ann Bois. Dorothy Ann Bois was reported missing to the Nashua Police Department in the early morning hours of October 4, 1973. At that time, Dorothy was 22 years old, 4'10", and weighed approximately 100 lbs. She was living at 100 Kinsley Street, first floor, with her husband Kenneth Bois when she was last seen. At that time, Dorothy had brown hair and hazel eyes. Since she was reported missing, friends and family have not had any contact with Dorothy. In March 2009, the Nashua Police Department re-opened and continued the investigation into Dorothy's disappearance, and that investigation led the Nashua Police Department to obtain search warrants for two properties in Nashua, NH. Those properties are 247 Main Dunstable Road and 19 Woodbury Drive. The Nashua Police Department has recently completed the searches of those properties.